For the past 20 years, Global Director of Clinical Education and Research for Performance Health Academy, Phil Page, has worked to support research on Performance Health products. Performance Health manufacturers rehabilitation equipment from multiple global health and wellness brands for physical therapists, occupational therapists, chiropractors, and athletic trainers. In his role, Page works with an advisory board of external scholars who conduct research involving the use of Performance Health products in order to support clinical practice around the world. Over the years, Page began to see a need for Performance Health to help spread the word about the research it facilitates. 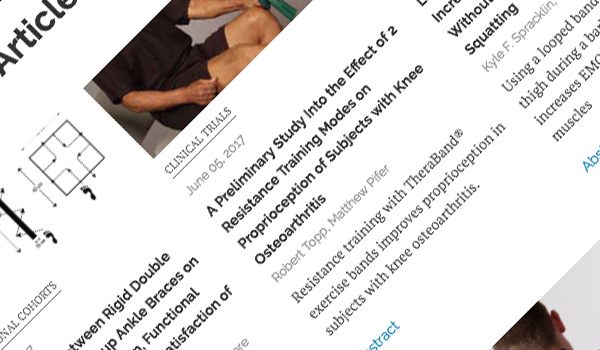 To get the word out about research involving Performance Health sooner, Page decided to start an open access journal. Last year, Performance Health launched the Journal of Performance Health Research (JPHR). After searching for software that would enable the journal to streamline peer review management and create a modern website without technical hassles, Page said they chose to use Scholastica Peer Review and Open Access Publishing. When Page took on the task of launching a journal for Performance Health, he knew he wanted the publication to be open access and to have a modern web presence in order to make it available to as many scholars as possible. It was also important to Performance Health to establish a thorough peer review process for the journal. From the onset of planning out the journal, Page knew his biggest challenges would be time and cost. Performance Health didn’t have extensive resources for peer review management or to develop a homegrown journal website, nor could it afford an enterprise peer review system or web developer. In terms of creating a website for JPHR, Page said he knew he wanted the publication website to be set up for modern scholars with an intuitive user experience that made it easy to search for content at the article level. He also knew that he didn’t want to have to hire a web developer or to spend a lot of time trying to set up and maintain a website himself. Using Scholastica Open Access Publishing Page was able to quickly set up a website using a template designed for academic journals and to choose a custom domain. He said the ease of internal management that Scholastica Open Access Publishing provides was a key factor in his choice. Looking to the future of JPHR, Page says he is focused on spreading the word about the journal to get more reviewers and article submissions. In this post we highlight two of the many impressive academic-led journals using Scholastica software for peer review and open access publishing - Discrete Analysis and Advances in Combinatorics.